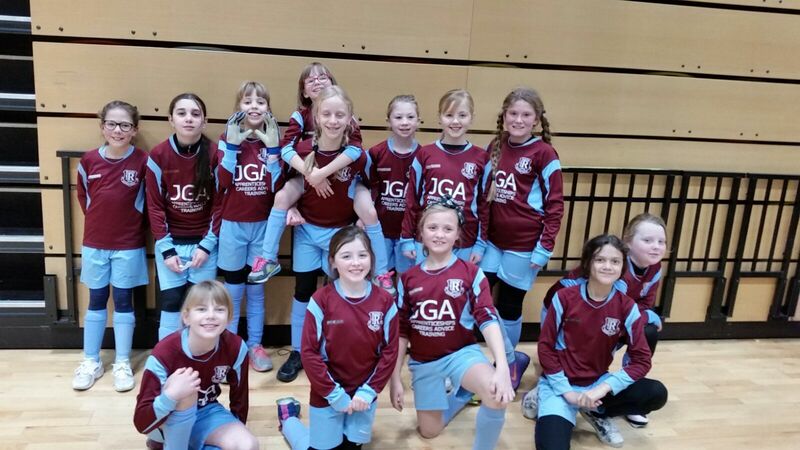 On Saturday, the Capital Girls League hosted the U10 League Cup Festival with 11 teams, including our own Clarets and Blues teams, with the winner of each group going through to the League Cup Final in May. The Blues were drawn in a group with the Futsal winners and undefeated Tottenham Ladies, as well as the Futsal Runners-Up, Hearts of Teddlothian, while the Clarets were drawn in a group with 5 evenly matched teams. On the day, the girls played magnificently, winning all of their 9 games and topping both groups. What was even better was that the less experienced team, the Blues, managed to top such a difficult group and defeat Spurs 2-1 with a superb drive from the left wing and a right corner finish for the winning goal from Skye, who only joined the club in September, without any previous experience! The League Final will be between the two Ruislip U10 Girls teams – so the Cup is coming to Ruislip! The final is provisionally booked for 20th May and the venue is yet to be confirmed. Congratulations to all 13 girls, pictured below.